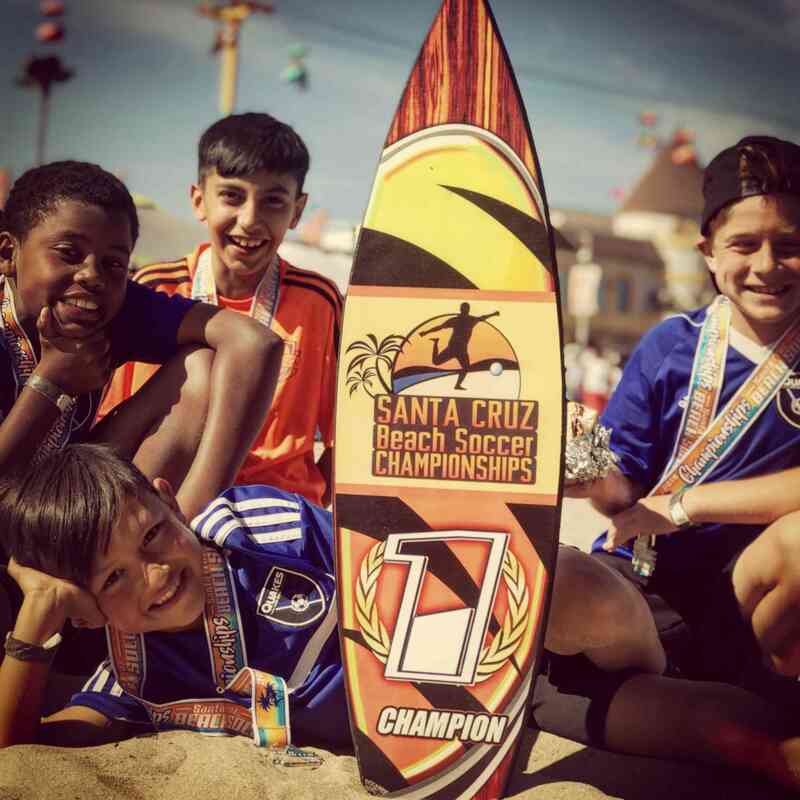 Welcome to the Santa Cruz Beach Soccer Championships – the best sand soccer tournament in Northern California! Originating on the beautiful beaches of Brazil, beach soccer has quickly become an international phenomenon. The passion and excitement felt throughout the world will explode on the beaches every first weekend of June in Santa Cruz, California. Teams of all ages and levels will bring their enthusiasm to the fields in what promises to be an awesome display of sport. 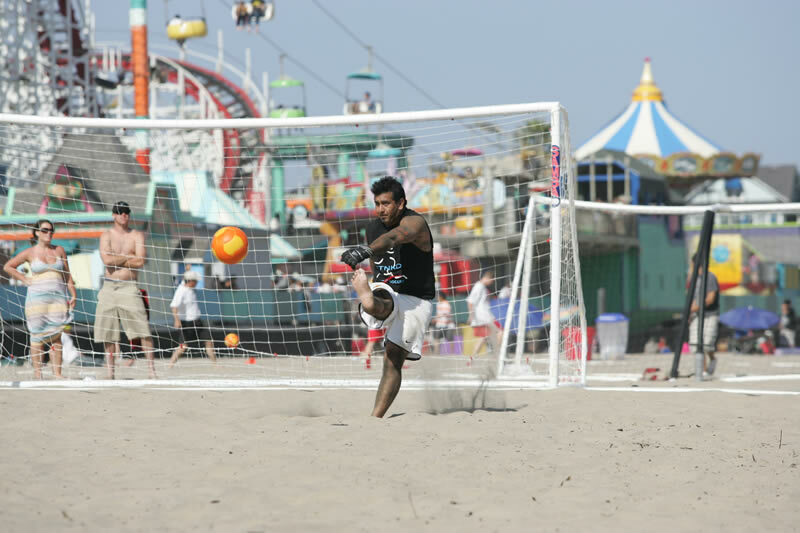 The tournament is located in front of the world-famous Santa Cruz Beach Boardwalk. The invigorating ocean waters will temper the heat of the games, while the roars of the crowds fuse with the roars of the rides. As a player, you will be challenged by the fast-paced, unpredictability of the game. Represented the United Sates in the 2012 Footvolley World Cup in Dubai and beat team Russia. World Cup travel company specializing in beach soccer and mini-field training while seeing the matches of World Cup. Phil proudly recognizes the Scicluna’s ability to bring new and excellent perspectives and athletes into high level positions across the global stage with courage and integrity. 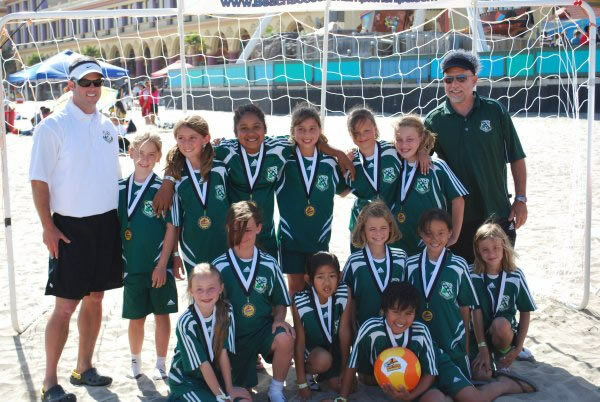 As one of the top providers for sand soccer in Santa Cruz, we are proud to welcome competitive and recreational teams from U6 to U19, Collegiate, Co-Ed, Women’s and Men’s divisions. The Men’s Open division’s cash prize is based on registration. We encourage indoor and futsal teams to apply for the Men’s Open division if they are highly competitive. The Men’s Open championships is a crowd pleaser drawing teams from all over to play for the prize money. Do not have a team? Want to play as a singleton? Come be a volunteer for team check-in Friday evening or Saturday morning to possibly join one of the many teams who welcome new players at any age group. We always appreciate the abundance of the good-hearted coaches, players and managers that live the importance of sportsmanship and are confident you will be able to join a team. Women are always requested for Co-ed and youth players have yet to be turned away. To make your own team you can register one player and pick-up any players in the age group up to the first day of the tournament. We can also help find players for your team. Contact the tournament director at any time and volunteers get to be an integral part of the tournament. 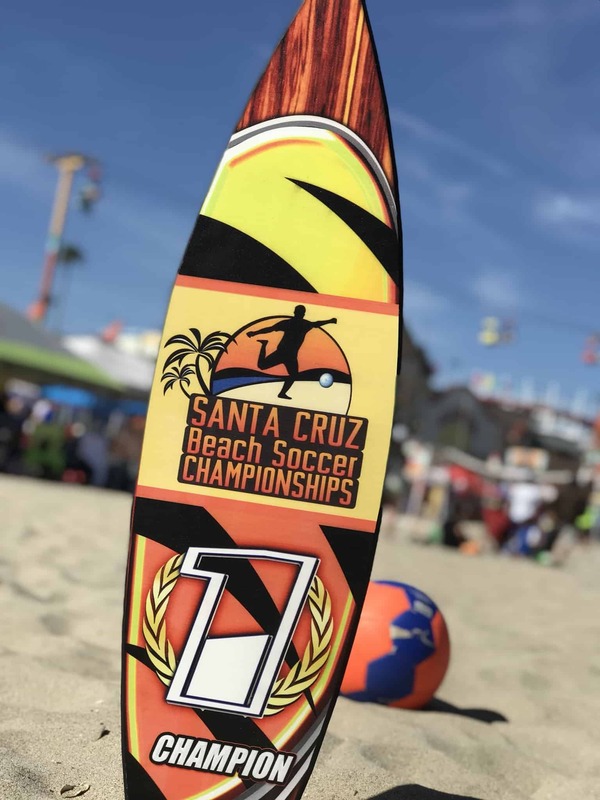 The Santa Cruz Beach Soccer Championships is a perfect choice for soccer fans in search of an unforgettable tournament vacation. Registration is simple. Follow the link to register your team for your preferred date out of the selections below. Keep in mind that the championship has sold out for several years running, so it is imperative that you sign up as soon as possible. Remember, you only need to pay the fee and have one player on your roster. If you have a group of five or more teams, you receive a $40 per team discount. Any team that participates in three or more tournaments receives a 50 percent discount on the third competition. Teams of 8 or less are reccomended for youth to ensure playing time, but each team is allowed up to 12 players and cannot roster players on two teams. Please see our rules and registration link, but feel free to call or email at any time. We will see you on the beach, and remember we have sand socks to try on at the beach to make sure you get the right size!